Nathan Schott in his senior year at Maple Grove High School (left). (L to R): Teri Schott, Alexandra Stoiaken ’13, and Chuck Schott at the 2011 brunch for Augsburg scholarship donors and recipients. Nathan Schott ’13 spent only a short time on campus at Augsburg, but it was both active and memorable. The Maple Grove Senior High School graduate was an avid sports fan and Twins season ticket holder who wanted to major in English and become a sports writer. Because he also had muscular dystrophy and was confined to a wheelchair, one of his counselors recommended Augsburg for its ease and accessibility. “We hadn’t heard too much about Augsburg, so we set up a tour. It was one of the first places we visited, and when we saw what sort of help Nathan would get, we thought this must be the place,” his mother, Teri, recalls. Augsburg’s CLASS (Center for Learning and Accessible Student Services) program is designed to help those students who need extra help, whether they are coping with autism, ADHD, mental illness, learning disabilities, or a chronic health condition like Nathan’s. The services are broad, ranging from securing appropriate accommodations to helping with time management, course selection, and any other challenges that might be better met with individual support. “On a typical day, I drove him to school and dropped him off, then stayed on campus while he went to classes on his own,” Teri says. Nathan made friends. He used underground tunnels to get around. Helpers took notes in his classes and filed them where he could pick them up. The late “Pastor Dave” Wold took Nathan under his wing and made sure there was a parking space behind the church for the family car. During spring break of his first year, however, Nathan, the oldest of the Schotts’ three children, contracted pneumonia, from which he never recovered. He died on April 1, 2010. His family received many sympathy notes from Nathan’s Augsburg friends and their parents. They grieved, but in their grief, they wanted to do more. “We wanted to do something to honor Nathan and keep his memory alive,” says Teri. “My older sister, Mary Rose, actually got the ball rolling. 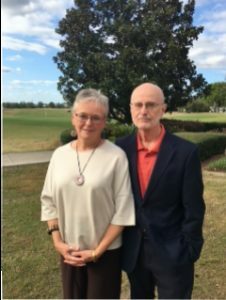 We had planned a tour of Augsburg, and she set up a meeting with Doug Scott, Augsburg’s director of leadership gifts, without telling us.” After conferring with Scott, the Schotts decided to establish the Nathan R. Schott Scholarship Fund and donated the initial $25,000 to set it up. 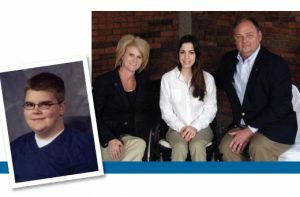 Since both Teri and Chuck are the youngest of seven siblings, reaching out to extended family for support made perfect sense. “We are so pleased that the endowment has now gone over $100,000 and will continue to grow,” says Chuck. Designated for CLASS program participants, the scholarship fund has already helped eight students. 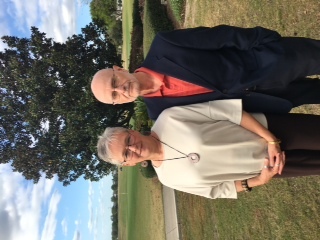 The couple, who moved to Hendersonville, Tennessee, two years ago, are grateful for the close connections they maintain with Augsburg. They named their new miniature dachshund puppy Auggie Doggie. They welcomed Scott for a visit to their new city. They have also attended past scholarship luncheons and met with some of the students they have helped. The Office of Undergraduate Research and Graduate Opportunity (URGO) connects students with new and existing summer-long research and scholarship on campus, across the U.S., and internationally. URGO also assists students applying for graduate school, professional school, and national fellowships and scholarships. In 2017–18, 88 students conducted research with a faculty member, 23 of which were sponsored by donors. 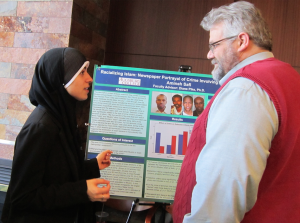 Through the URGO office, Augsburg’s annual Zyzzogeton Research Symposium on April 15 will showcase the work of over 80 undergraduate researchers in all academic disciplines. If you are interested in learning more about URGO or would like to make a gift to support undergraduate research, please contact Vice President Heather Riddle at 612-330-1177. 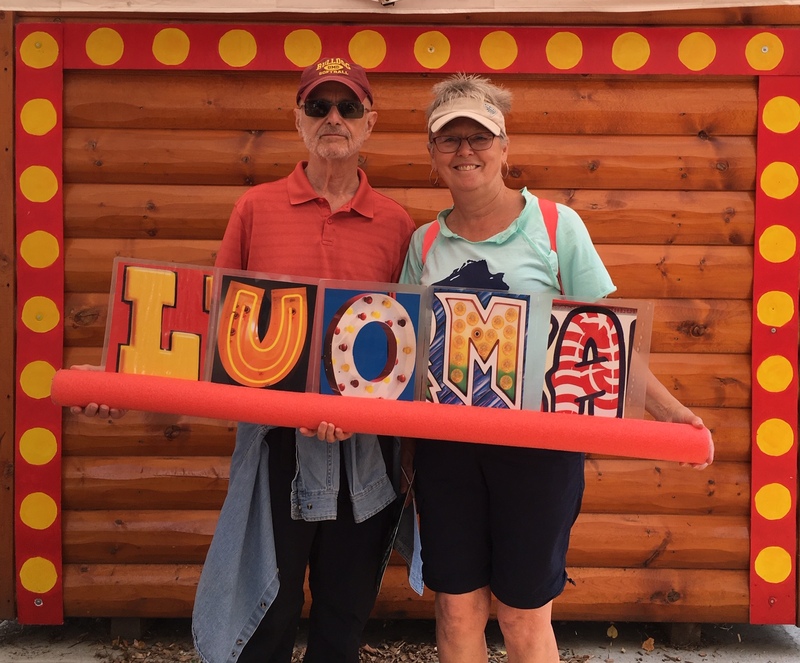 For Gracia ’66 and John ’65 Luoma, the Augsburg Sesquicentennial marks not only a milestone for the University, but also a time to honor their own family legacy. 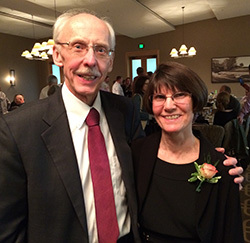 These frequent donors have decided to celebrate by fully funding the John K. and Gracia Nydahl Luoma Endowed Scholarship with a $100,000 cash gift. “We wanted to be proactive in our estate planning. We wanted to see the fruits of our legacy before we died,” says Gracia, noting how financial help is essential for today’s young people. 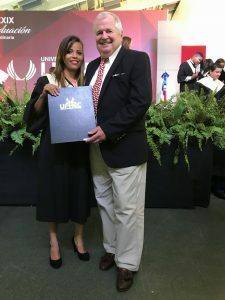 The scholarship will go to an undergraduate student who demonstrates financial need, academic achievement, and a commitment to vocational service, preferably in the Christian ministry, education, psychology, or medical fields. “Emphasizing vocation for service has always been part of Augsburg’s vision,” John points out. And Augsburg, adds Gracia, has long been “the family business, so to speak.” Born in Minneapolis to the Nydahl family, she recalls frequent outings to Augsburg events as a young child. Her grandfather Johannes, who emigrated from Norway in 1845, graduated from both Augsburg College and Augsburg Seminary, which he attended from 1883 to 1891. He became a professor of history and Norwegian before becoming Augsburg’s head librarian in 1920 and was also a member of the Augsburg Quartette, as was his son, Harold. Johannes and his wife, Tabitha, had six children, all of whom followed his footsteps, as have many other descendants. In fact, Augsburg recognized this “formative family” with a Distinguished Service Award in 2004. “That I would attend Augsburg was never a question,” says Gracia, a math major who forged a career in computer science. 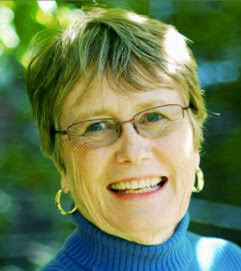 Nor was it a question that she, as well as her prospective husband, would rank service high among their career goals. “Even in the business world, you can have a sense of service in vocation. You don’t have to be in a formal ministry to serve God and serve Christ,” she says. John Luoma, the boy she first met in Luther League and later dated and married while in college, learned of Augsburg through his affiliation with Trinity Lutheran Church. In his quest to become a pastor, he never considered going elsewhere. Fully committed and active on campus, he was elected student body president in his senior year. After receiving his Ph.D. in theology, he served as a college and seminary professor and Lutheran parish pastor for more than 40 years. “Augsburg was very formative for us in those years. It built on the values we’d had as young people, strengthening them, testing us, and preparing us very well for our vocations,” Gracia says. The couple had two sons, both of whom also chose service vocations. Aaron, who died suddenly from an undiagnosed heart defect in 2015, was an occupational therapy assistant, international traveler, and frequent volunteer who worked with immigrants, refugees, and hospice patients. Jason is a clinical psychologist in Portland, Oregon. Neither had children. “Our son is fine financially, and we have no grandchildren, which started me thinking: I would like to leave a legacy. Even on my mother’s side, there was always a commitment to service for others,” says Gracia. 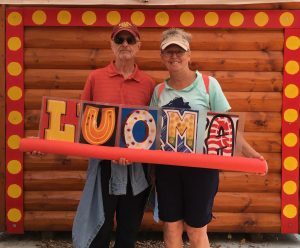 The Luomas raised their family in Connecticut and Ohio before moving to their current residence in Lady Lake, Florida, but they return to Minnesota every summer to escape the heat. 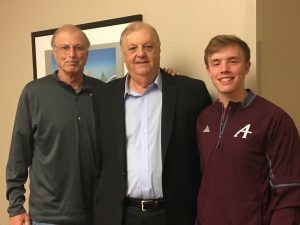 Now retired, they are able to visit Augsburg regularly, attending their class reunions and the annual Nydahl cousin reunion, usually timed to coincide with homecoming. They have reacquainted themselves with the current administration and reaffirmed their confidence in Augsburg’s vision. While the neighborhood and student population may have changed in recent years, the basic values have not. The Sesquicentennial Scholarship is a new, unrestricted scholarship created to celebrate the 150th anniversary of the founding of Augsburg University. This fund will support students in financial need. You’ll see how your contribution makes a difference in the learning and life trajectory of real students in the Augsburg community. As a donor, you’ll have the opportunity to meet the scholarship’s recipients during Augsburg’s Sesquicentennial festivities in 2019–20. Your gift today is a way you can stay connected to Augsburg throughout your lifetime. Donors will also be recognized on campus on the Sesquicentennial Scholarship Fund donor wall. Over 200 donors have already contributed more than $110,000 to the Sesquicentennial Scholarship. All donors who give receive annual reports on the overall value of the fund, contributions, market growth, and scholarship recipients. Early contributions like yours will spark more potential for Augsburg students, the community, and the enduring legacy of inspired education. 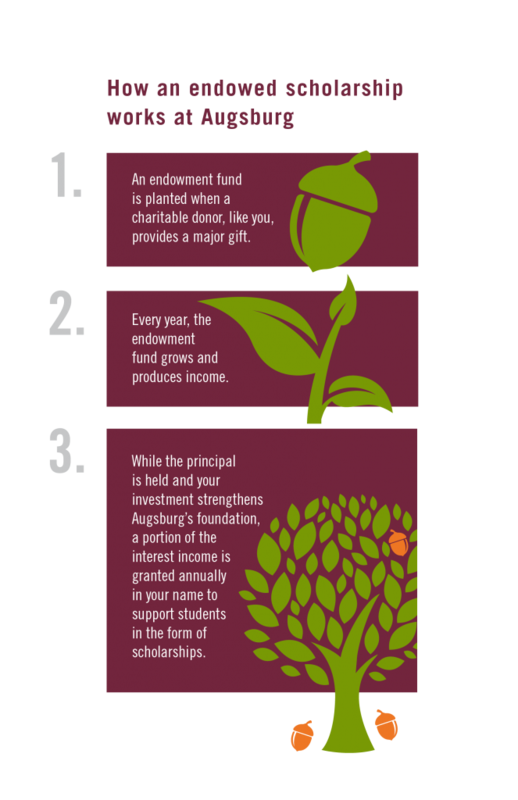 Make a gift to the Sesquicentennial Scholarship at augsburg.edu/giving. The difference between college then and college now is a key factor that motivates Tom Peterson ’69 to honor his father by contributing regularly and often to the Clifford A. Peterson Scholarship endowment fund. “A small scholarship throws off enough to buy books. I would like to get to where I can make a material dent in someone’s tuition,” Tom Peterson says. He figures it takes about a million dollars to fund an endowment that pays for one person’s full scholarship each year, and he speaks with a deep knowledge of finance. As former chief investment officer for the Good Samaritan Society, he was in charge of two privately held mutual funds and managed $1.5 billion in capitalization. He was not, however, an academic star. “I was an extraordinarily ordinary high school and college student, with average grades at best,” Tom recalls. He grew up in Richfield and initially enrolled at Bemidji State University, which invited him to play on its tennis team. He studied hard there but again earned only average grades, and the tennis team’s mediocre performance coupled with the frigid climate convinced him to move closer to home and enroll at Augsburg, his father’s alma mater. “My father always held Augsburg in high regard. He used to drag us kids along to basketball, football, and baseball games,” Tom says of Clifford Peterson ‘49, whose successful career included marketing stints at Standard Oil and SuperAmerica as well as nursing home administration in later years. Tom’s younger brother, Jim Peterson ’78, was inducted into the Augsburg Hall of Fame for his prowess in both baseball and hockey. At Augsburg, Tom majored in finance and sociology and played for two years on winning tennis teams, which placed second in the conference. (His son, Christopher Olson ’91, later lettered four times in tennis at Augsburg.) Tom also graduated in four years with no debt, an accomplishment that seems impossible today. That was college then, when tuition was $1200 a year. “I put myself through Augsburg, had an apartment off campus, and paid for it all myself,” he says. “I had one of the best jobs a student could have at that time—I drove truck.” He made deliveries throughout the state, working 30 hours a week during school and 60 hours a week during summers and breaks. When he graduated and got his first job as an accountant at Honeywell, he almost had to take a pay cut (but got to work a shorter, 40-hour week). Even though he would sometimes come home too tired at night to study, he found time to connect with and admire his sociology professor, Joel Torstenson, and several adjunct business professors, one of whom he later mentored in the business world. “I had good teachers, and they were fun people to be around. Here’s the thing: I felt comfortable there,” Tom says. Now retired and living in Edina, Minnesota, where long walks with his dog have replaced tennis, he recalls, with fondness, those college days in the past. 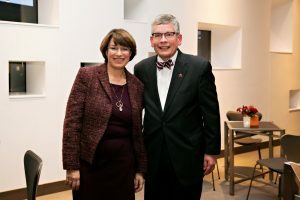 He also remains committed to ensuring that students will be able to meet the financial challenges and enjoy the faculty support at Augsburg in the future. She called herself Sandy Simpson from Spicer back then, and her journey from aspiring Willmar High School student to generous Augsburg University donor was as lively and adventurous as Sandra Simpson Phaup ’64 is today. Her college-educated parents were trained as teachers, so it was no surprise that Phaup planned to go to college. But her first-choice school cost too much, and her enrollment at Lutheran Bible Institute was short-lived. Her goal of becoming a nurse landed her on the Augsburg campus, where she got a small scholarship and found a welcoming home she had not anticipated. Slowly but surely, she found her way. Though she had made a pact with her parents to earn a nursing degree, her sophomore chemistry class “felt like they were all speaking Russian—I never grasped it,” she says. So without consulting mom and dad, she transferred out, signing up for a 17th-century British literature class instead. English and teaching became her major and art her minor, but she also pursued an interest in Norwegian language and culture sparked by the Norwegian grandparent who moved in with the family while she was growing up. She read Nobel Prize writer Knut Hamsun and Ole Edvard Rölvaag’s Giants in the Earth. She carried a small notebook to record Norwegian words. As a sophomore, Phaup asked a Norwegian family friend in Spicer to help her move to Norway for a year, but her parents insisted that she finish college first. As a senior, she was registering for classes when a friend reported that their English professor had suggested she apply for a Fulbright scholarship. “What’s that?” was her first response. But she applied, was accepted, and arrived in Norway—“so focused and full of myself”—the following year. There she met relatives she hadn’t known existed as well as her husband-to-be, a Fulbright scholar pursuing an economics Ph.D.
At home in Arlington, Virginia, since 1976, Phaup earned a master’s degree and taught English and art for 30 years in England, Ohio, and Salem, Virginia, where her lively embrace of all study topics, from Bob Dylan to Allen Ginsberg, made her a favorite among students who still invite her to reunions. As a Kennedy Center teaching artist, she is occasionally invited to lead teacher workshops that integrate visuals arts and writing. 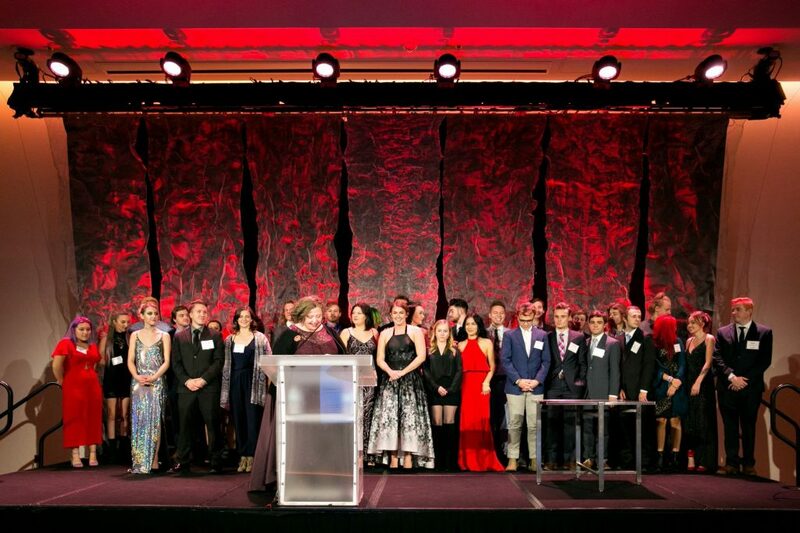 The StepUP Gala was a night to celebrate how the StepUP Program at Augsburg University has helped students champion lives of recovery, achieve academic success, and thrive in a community of accountability and support. With the strength and support of the StepUP community, we rose to meet this goal. This year’s Gala generated over $425,000 for the program in one evening. 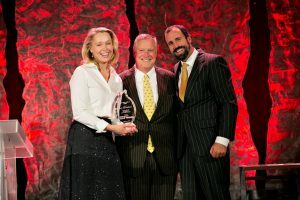 The event was thoughtfully planned by the StepUP Board and the Gala committee including co-chairs Cindy Piper and Douglass Sill. 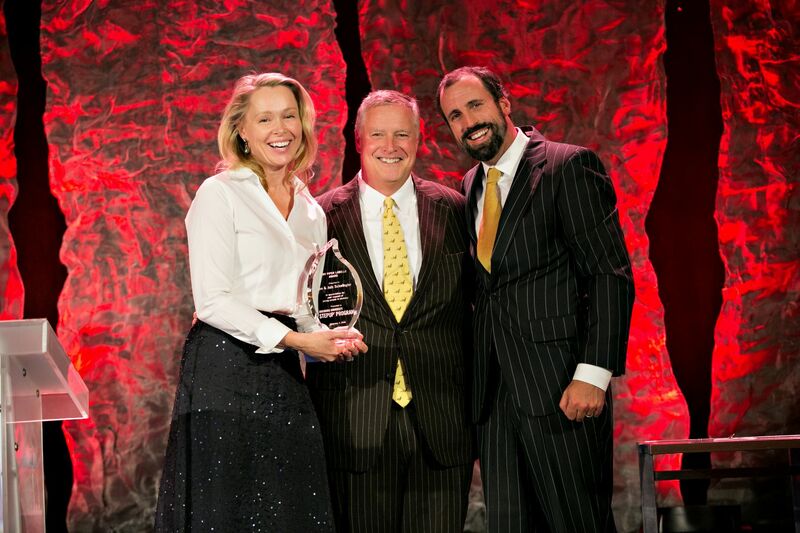 We hope to continue to build on this generous momentum from the Gala. If you wish to make a gift to support the StepUP program, visit StepUP Giving and indicate Gala gift in the comments field. Thank you to all who joined us for the “We Rise” StepUP Gala. We firmly believe that a student should not have to choose between recovery and a college education. Your support will help make that possible today, and for years to come. Sometimes a match made in heaven requires a connection here on earth. 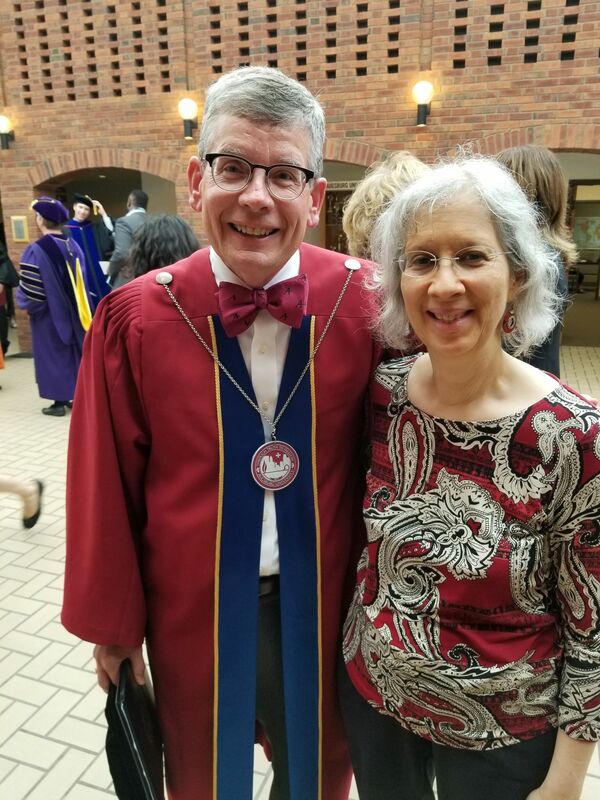 Such is the case with Linda Giacomo, whose generous gifts to the Augsburg Women Engaged (AWE) Scholarship fund are the outcome of a chance meeting. Giacomo, 67, is a retired clinical psychologist who speaks freely of her two passions: helping women get educated and helping them get elected to political office. When she met Catherine Reid Day, an Augsburg friend, donor, and strategic marketing consultant through her company, Storyslices, at a political event last May, the two talked about the interests they shared. What ensued was as unlikely—yet as likely—a serendipitous result as anyone could imagine. In so many ways, Giacomo and Augsburg are a matched set. An Italian-American who hails from Port Chester, New York, Giacomo knew in her teens that she wanted to work with children, perhaps in elementary education. But a comment by her younger brother—“Stop talking to me like you’re a psychologist!”—led her to study psychology at SUNY-Buffalo, then earn a Ph.D. in child clinical and adult psychology at Michigan State University. After post-doctorate work in Philadelphia and other positions that proved too research-heavy, she moved to Minneapolis for a clinical position at Children’s Hospital, then went into full-time private practice five years later. After retiring, and with much appreciation for the area’s affordable real estate, bike paths, parks, and “just enough” theater, art, and music, she has stayed. So has her propensity for research. She studied Augsburg’s numbers—need, diversity, solvency, service—and visited campus to meet its leaders. What she found was common ground. Like so many Auggies, she was the first in her family to attend college, earning merit scholarships but still needing a decade to pay off student loans. She empathizes with immigrant struggles, recalling impoverished grandparents who left southern Italy to become naturalized U.S. citizens, and parents who could not afford their children’s college tuition despite her father’s three jobs and her mother’s one. She also inherited a legacy of service, after watching her family take in neighborhood children and offer help to anyone in need. Noting that women earn 26% less than men but carry two-thirds of the nation’s college debt, Giacomo has placed them first, designating a $30,000 outright gift to the AWE Scholarship as well as her $1.5 million estate gift. In her current role as “village elder,” and when she is not busy tap-dancing and practicing Italian, she will share her significant wisdom with the AWE Philanthropy Council, which she has joined.